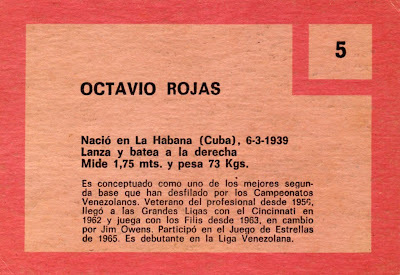 Cuban-born Octavio Rojas, nicknamed "Cookie," played for clubs in several countries and made 5 MLB All-Star teams, including 4 straight from 1971-74. I love the clear-rimmed specs he sports on this card. This set stands alone among vintage baseball issues by combining VPBL players (#1-138), retired MLB stars (#139-188), and reprinted 1967 Topps fronts (#189-338). 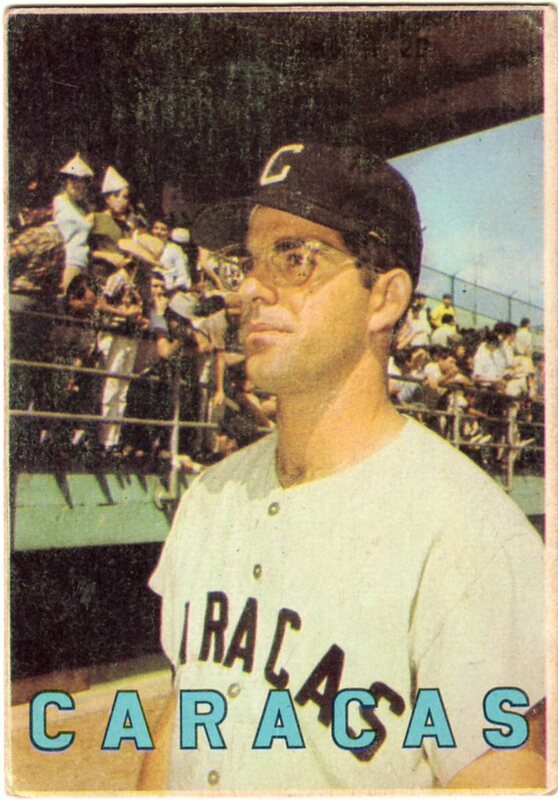 It's too bad cards prove so hard to find, since they represent one of the few collections of Venezuelan players, uniforms, and stadiums from the 1960s. 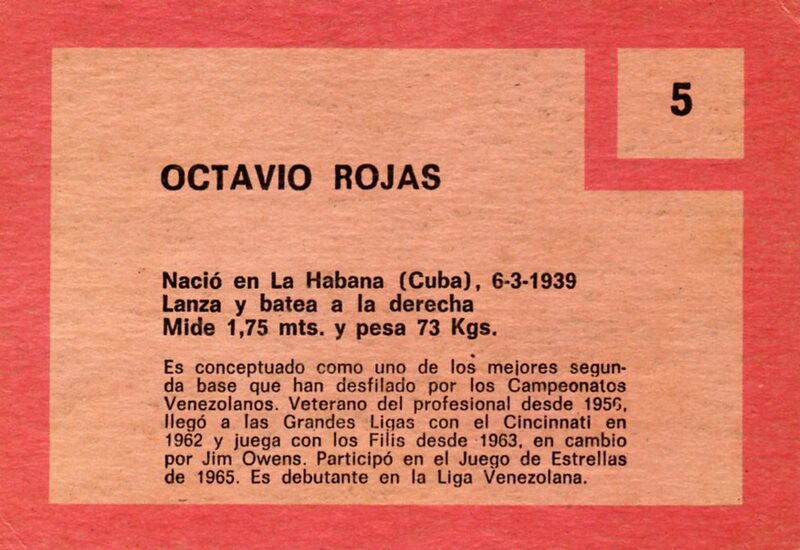 Like the 1962 Venezuelan set, card backs feature Spanish. Here's a rough translation of the text. Considered one of the best second baseman to play for the Venezuelan Champions, Rojas came to the majors with Cincinnati in 1962 and played with the Phillies in 1963, following a trade for Jim Owens. An All-Star in 1965. This is his Venezuelan League debut. Card Value: $5 - 15 for non-star singles, depending on condition and player. (South American dealer John Rumierz Cards specializes in them.) Many dealers ask sky-high prices for graded stars, due to scarcity. Reprints / Fakes: Haven't seen any in the marketplace. Stars cost a lot and cards often have back damage, so someone might try it, but low collector demand means there's little reason to fake a common player.